If you don’t want to wait Philips Fidelios media docks for Android devices then you may make it by yourself. You should just follow by this instruction, have some free time and be familiar with electronic and polymorph. Another way to use iOS dock with Android device is to get the DockBoss+ cable with has iOS connector on the one side and micro-USB + audio jack on another. It’ll cost you around 30 bucks plus delivery. 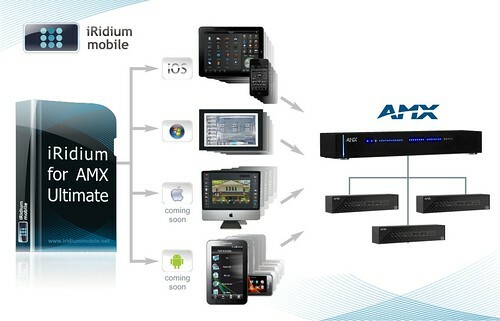 So, even now we have at least two ways to use Android device as a part of home media system. But personally I’ll wait for Philips Fidelios. Logitech just announced its new device – Harmony Link, which together with free Android/iOS Harmony Link app turns your smartphone/tablet into smart universal remote control. 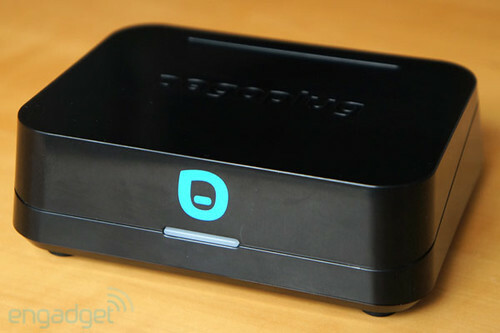 It uses WiFi to receive commands and transmits them via IR to AV equipment. 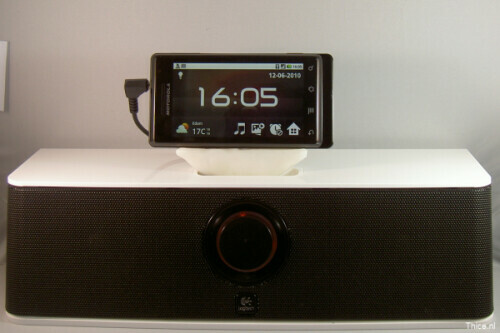 The Harmony Link can control up to 8 devices and work with several smartphones/tablets simultaneously. The application offers all features ordinary universal controls and even more – custom buttons layout and personalize TV shows guide via Rovi (for iPad only). 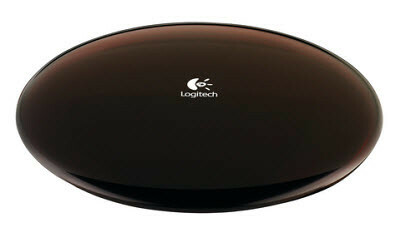 The Logitech Harmony Link will be available in October at $99.99. 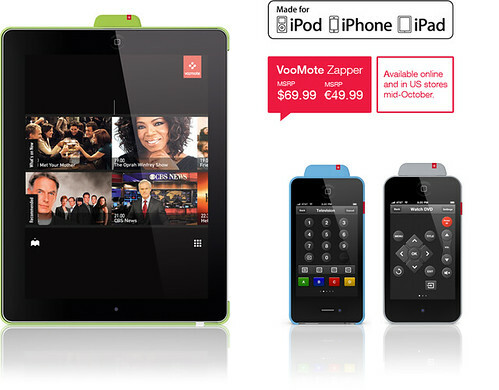 VooMote Zapper can turn your iPhone/iPod Touch/iPad into universal remote control with extended functions. To do that it combines VooMote iOS App and Zapper – compact and stylish IR transmitter. The application offers all functions of ordinary remote control and more. You may build your own custom layout for each device. While Zapper allows to learn IR commands from your original remote control if it isn’t listed in the VooMote database. The VooMote Zapper will be available on October at €49.99 or $69.99. Additionally you may get a stylish cover for your iOS device in the same color as the Zapper. Pogoplug well-known brand. Thanks to their cloud-based stylish storage devices. Recently Pogoplug launched a smartphone-friendly version – Pogoplug Mobile. It doesn’t include internal HDD. Instead it has one USB port, SD card reader and Ethernet. You still should activate attached storage on Pogoplug online service. But all files stored on Pogoplug Mobile will stay on the attached storage and not on Pogoplug cloud service. The special appeal the Pogoplug Mobile is a transparent integration with Android and iOS mobile devices as well as with Windows and Mac OS X desktops. It allows easy and fast way to backup mobile device/desktop data to the Pogoplug Mobile and stream media content from Pogoplug Mobile. Sure you may find some other way to link your smartphone and home NAS. But Pogoplug Mobile offers it as a bundle and for the reasonable price – $79. If you’re interested to buy it don’t miss the October 1st when it’ll be available in shops.